Reaping a Harvest...Raising My Three Sons: Guest Blogging for Glimpses of our Country Tour! 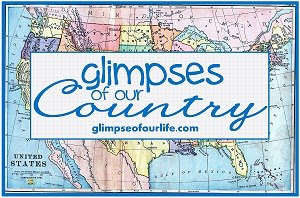 One of my Homeschool Review Crew Mate sis a lucky duck and is traveling abroad this month -- so I did something I've never done before: guest-blogged for her Glimpses of Our Country tour! The first state -- Hawaii (my absolute fave state!) -- is up. Click on over February 15 to read my entry about New Hampshire ~ but don't forget to check out other states on other days. You can click on the graphic above to take a virtual cross country trip!